Love you, Sparkle Witch. You cast a happy spell on my computer every day. Many thanks. I LOOOVE your alter!! Mine never seems to change... I have all my favorite special goodies up year round... Maybe one of these years ill try some risky variety!! I love your blog and crafts BUNCHES!!! Thanks for taking us along for the ride. many happy returns to you as well,princess witch of all the fairies! What a lovely and special altar - Martha Stewart would proclaim it a good thing, indeed! 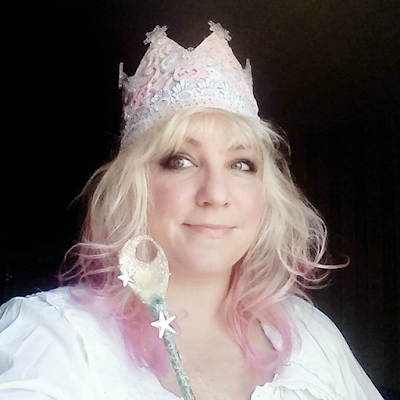 Love your white-light-and-glitter witch costume - I can't tell if your wand/scepter is a wooden spoon with a hole in it, or if it's a crescent moon - either way, it's lovely! 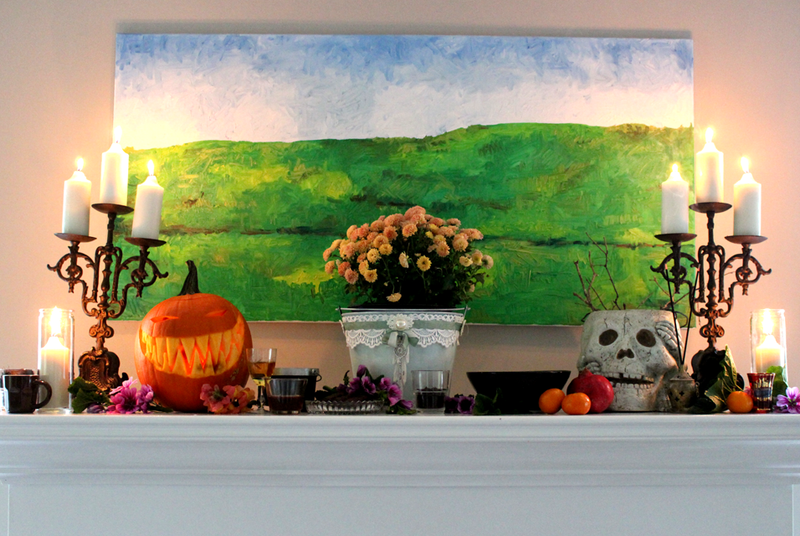 Most Happy Hallowe'en and Blessed Samhein to you and all the creatures - human and otherwise! - of Pixie Hill! I decorated, but half-assedly. My altar happened in the kitchen this year, because I seem to always be there lately. ;) A belated Happy Halloween to the Sparkly Good Witch of the North and her wacky dudes. Although I don't always comment, I always follow. Love you mantel and you do have the best ideas!!! I have also bought from you - love your work Sugar!! Wish I could find some of those tea cups like the faerie house one I bought from you. Belated Happy Halloween and Blessed Samhein! Love your altar and your "white light" witch. I also didn't decorate this year except for my black Halloween tree and my altar. This is up year round in my bedroom and I change it every month. 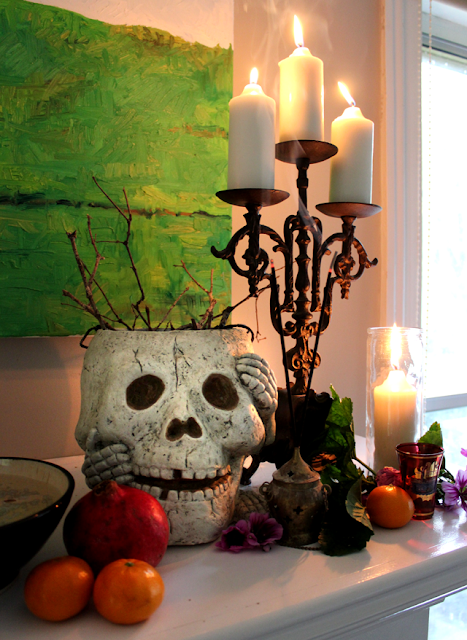 I did my Day of the Dead altar in the dining room. Always a treat stopping by your blog. A belated Happy Halloween! I carved one little pumpkin, named "Punky", and that's about it really. Such fuddy duddys this year. . . I AM gearing up for all the traditional holiday festivities to come beginning with St. Martin 's day on the 11th. 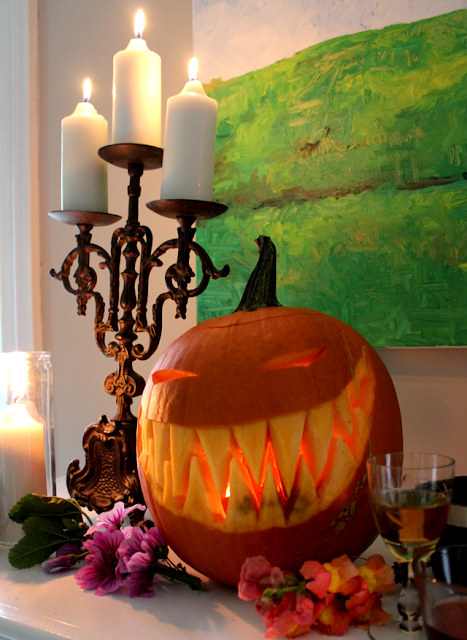 . . and a little turnip lantern making that day. :) And YOUR glitter is always showing my dear. :) Happy November!